Liftex® Endless RoundUp™ Round Slings are the most basic round sling, yet they offer great versatility. 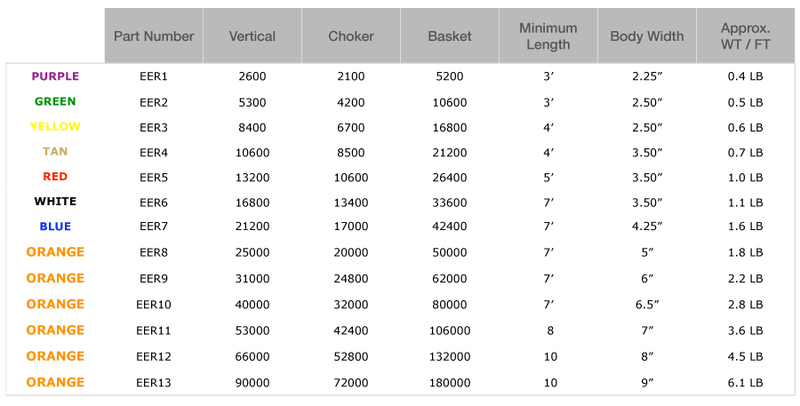 Endless round slings may be used in a vertical, choker or basket type hitch. Liftex® Eye & Eye RoundUp™ RoundSlings are ideal where abrasion to the sling body is a problem. A tough, abrasion resistant sleeve is sewn to the body forming a loop at each end. They may be used in a vertical, choker or basket hitch. Braided RoundUp™ Round Slings provide greater security in handling high-capacity loads while maintaining the qualities our other round slings offer. Braided RoundUp™ Round Slings are constructed using 3 (6-part) or 4 (8-part) Endless RoundUp™ Round Slings.